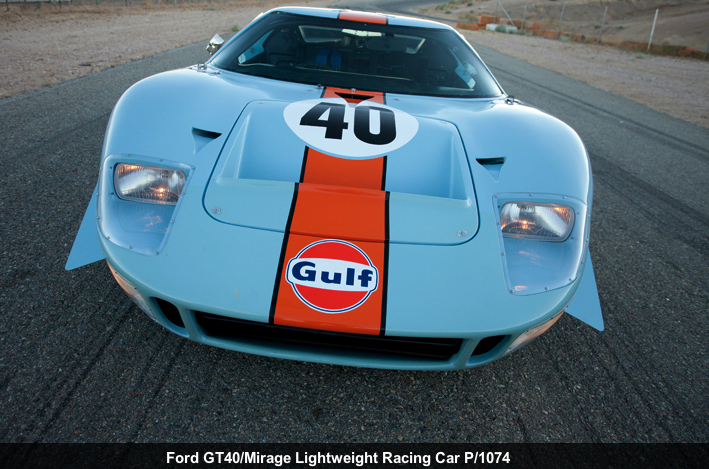 This is a very rare 1968 Ford GT40 Gulf Heritage Mirage wide body, which sold at auction in August 2012 in Monterey, California for eleven million U.S. dollars, setting a new record for an American Car. 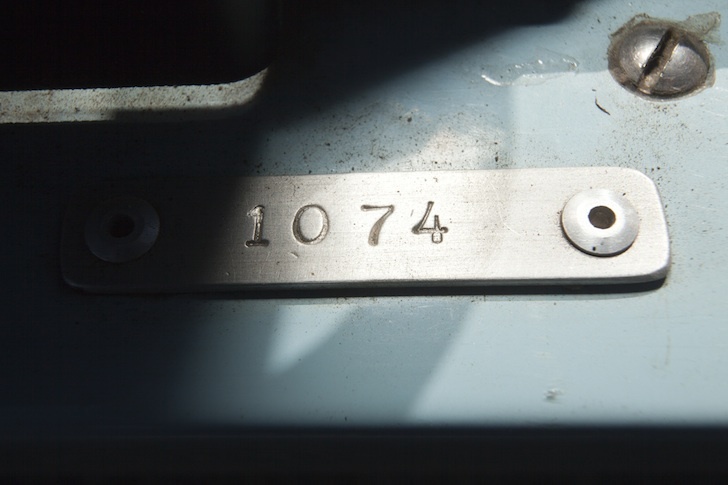 The Mirage designation indicates that several major body components, and wheels, were fabricated by the Carbon Fiber process to reduce weight; a process that was 40-years ahead of its time. 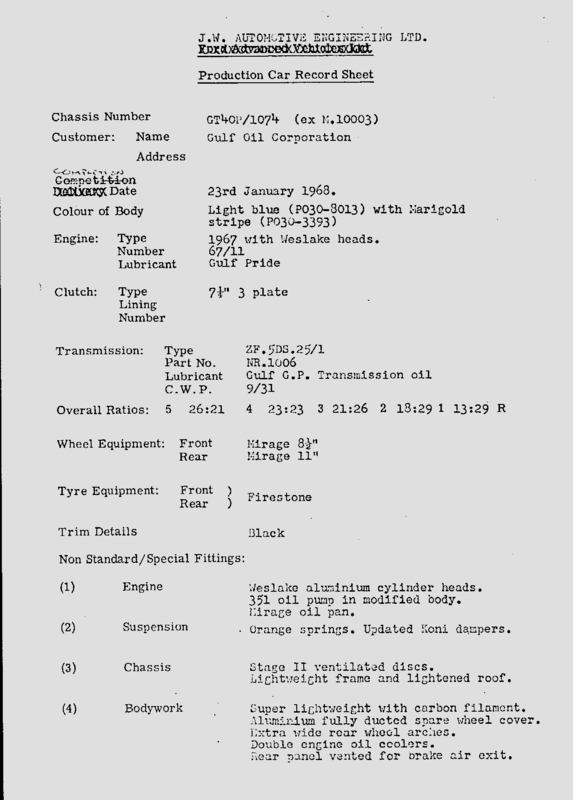 Copy Original Build Sheet — p1074 is the Chassi, M.10003 is the Mirage Cert. 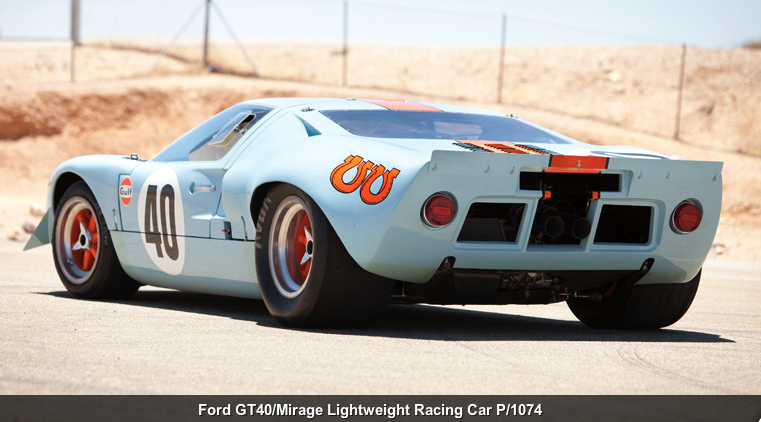 This car featured the BRM Mirage wheels: front 8.5-inches wide, and rear 11-inches wide. 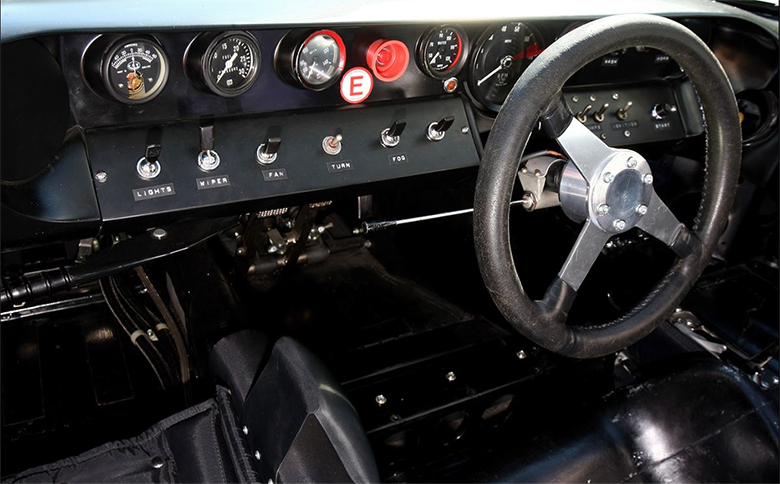 "With Jacky Ickx behind the wheel, it set a record 3:35.4 lap time at Le Mans Trials. It later won first-place at the Monza 1,000 Kilometre, sixth at the Nürburgring, and second at Watkins Glen." 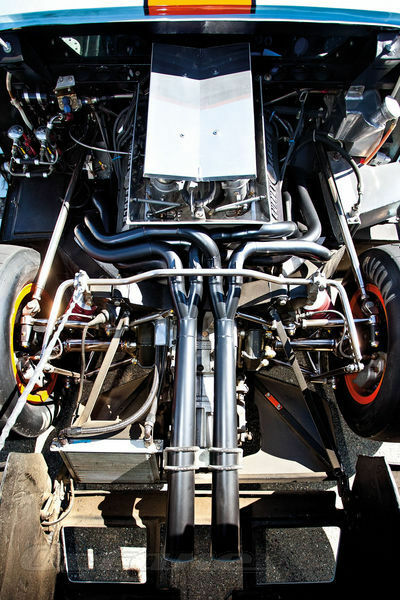 "After the transformation, the car would compete in a number of races during the 1968 season. With Jacky Ickx behind the wheel, it set a record 3:35.4 lap time at Le Mans Trials. It later won first-place at the Monza 1,000 Kilometre, sixth at the Nürburgring, and second at Watkins Glen." "In 1970, David Brown purchased the P/1074 and P/1076 and leased the P/1074 to Steve McQueen’s Solar Productions to be used as a camera car for the upcoming film, Le Mans. 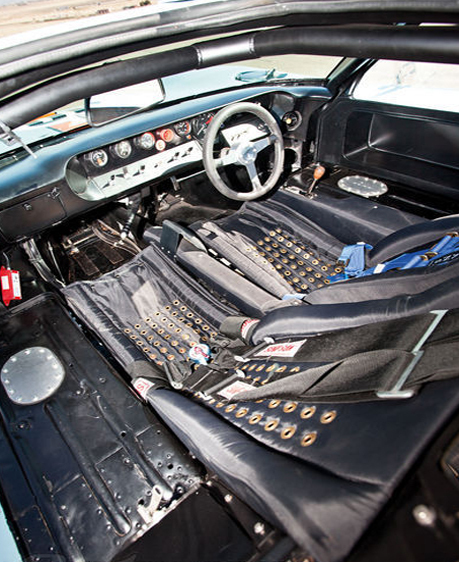 McQueen insisted that the movie be filmed at speed, so his production crew needed a car that could film at 150 mph. 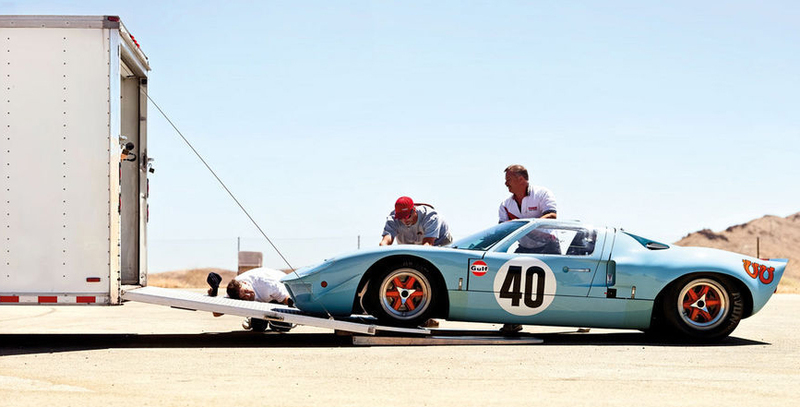 Some of the Ford GT40 was modified, such as taping the doors shut and removing the entire roof section." 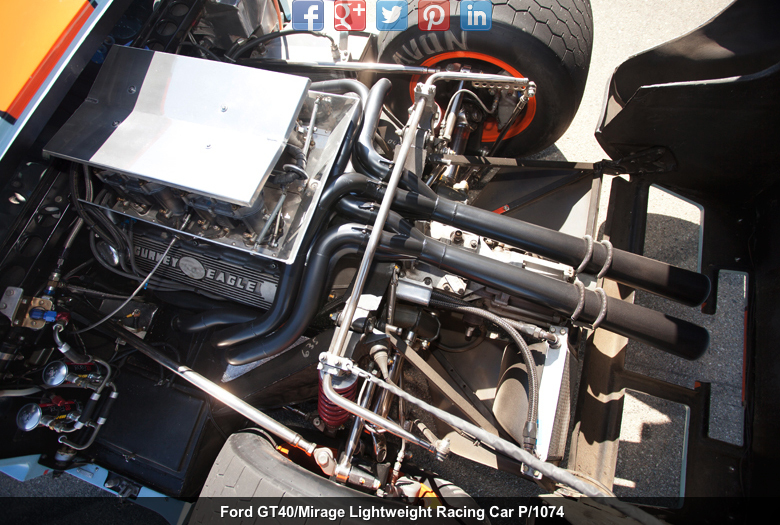 SEE two pics below of GT40 p1074 temporary mods and transformation to camera car. "With its former driver, Jacky Ickx behind the wheel of a Ferrari 512S at the filming of the 1070 24 Hours of Le Mans race, the P/1074 participated as a film car with two cameras located in the spare tire well and a gyroscopically-stabilized, air-powered, 180-degree Arriflex camera mounted in the rear deck and controlled inside the cockpit by remote control. Another 35 mm camera was mounted above the passenger side door. The additional weight and downgraded aerodynamics from the film modifications made reaching the 150 mph top speed difficult, and required a great deal of skill to control at the triple-digit speeds." "After the filming, the car exchanged owners and ended up with collector Sir Anthony Bamford in 1972. 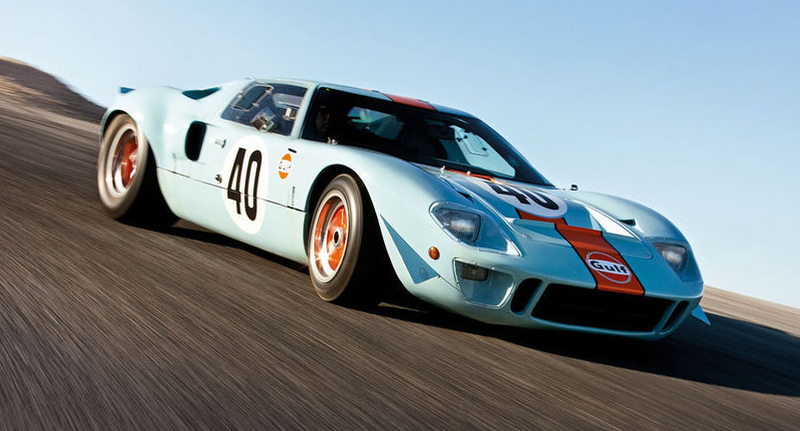 Under his ownership, the Ford GT40 was reconstructed by Willie Green with a new roof panel, early GT40 doors with “rocker” handles, new rear bodywork from a standard GT40 with wider wheel flares and a lack of air outlets and carbon fiber reinforcement. The P/1074 was then sold back to Harley E. Cluxton III, who had originally sold it to Bamford, and was restored once again." 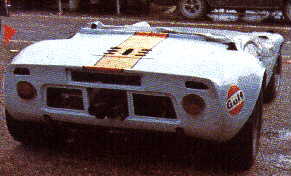 "The Ford GT40 P/1074 later participated in a number of reunion events and was featured in numerous posters and die-cast models. In 2002 it underwent a complete restoration and has been meticulously maintained since then to its current state. The car appeared and was driven in 2003 and 2004 at the Goodwood Festival of Speed and won Best in Class at the 2009 Amelia Island Concours d’Elegance."